The music paints a rhythm of beats and melodies. The couple twirls around the dance floor so close together they appear as one. The lead dancer holds her hand in a firm grasp while cradling her waist with his other hand. Steps and turns follow a pattern birthed from musical notes. Effortlessly, the graceful dancers float across the floor. In her book, Dance With Jesus, author Susan B. Mead, writes about dancing, but not in the way you may think. After suffering a tragedy that is the greatest fear of all parents, losing a child, Susan shares her story of transforming from a place of deepest grief to one of infinite grace. When I met Susan this past summer, it was a God moment. He had ordered both our steps so that in the middle of 800 women, we would stop directly next to each other in the hallway of a huge hotel. Her magnetic smile beamed over at me like a spotlight. I’d been talking to a new friend when somehow the topic of Texas came up. Susan, hearing the name of her home state, called out from across the hallway, “I’m from Texas.” Her sweet, soothing voice made me return the smile, and instantly we moved closer and began to make introductions. It was there in that hotel hallway, she first told me the story of her son Kyle and the book God had given her to write about grief. I won’t give away the details because I know you will want to read it for yourself. Little did I know then, our brief encounter would blossom and grow into a friendship the Lord had planned all along. Today, as I write about our first meeting, her book that she’d only seen through the eyes of Jesus, is sitting next to my computer. The vision and mission the Lord gave Susan has become a reality. The pages He wrote on her heart are now printed on paper offering hope and healing to others through the power of Jesus Christ. 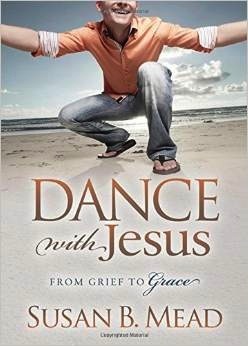 Dance With Jesus, is a short, power-packed collection of stories from Susan’s life where she faced great loss. In dealing with grief and accepting her loved ones were now dancing with Jesus in heaven, she learned to dance with Him here on earth. 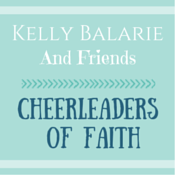 Like a dancer, she moved from grief to grace allowing Jesus to be the lead. When she couldn’t move, the pain pressing in, she followed His steps. As the tears clouded her sight, she trusted His direction. she let Jesus hold her close and carry her. The dance moved Susan from grief to grace. Are you or someone in your life in a place of grief? I’d love to share a copy of Susan’s book, Dance With Jesus, with you. If you would like a chance to win one of these books, please leave a comment under this post. ***I will have a very technical, super savvy drawing tomorrow night, March 31st, during her book launch. This drawing will include names on slips of paper being drawn out of a plastic cup by one of my children. Be impressed. Be sure to visit Susan’s website, www.susanbmead.com and follow her on Twitter, too. You will be blessed. I can not wait to read this book! I’ve been excited about it since I heard of it. And don’t you just love how SheSpeaks brought us all together?! God is so good to bring special friends in our lives. I look forward to reading this book! As I approach the one year mark of losing my Daddy, my hero, my friend.. I totally “get it”.. This learning to lean in to my Savior when I can’t stand up on my own, this striving to Shine JESUS through it all. Can’t wait to read this! I would love a copy of this book! So thankful for women who are open and obedient to the Lord. I have a feeling that I may be writing my experience one day. Some days I can not believe how much I have walked through and still walking through. My words, thoughts and emotions are so raw and bottled up inside of me for now…just to keep it together. This book seems to be what I need to read at this time. I would love a copy of this book! After I read it, I will share with my sister!!!! I would love to read this book and have enjoyed the ticklers Susan has been on Twitter which spiked my interest. More importantly I want to give it to some friends that are hurting right now after a recent loss. Sounds like an amazing story!! I don’t know how people get through grief without the certain hope of heaven. My dad passed away the week before Easter in 2008. It wasn’t a terribly hard process for us – he had lived a long, fruitful life, had been sick and was completely ready to go. But that Easter was very special to me. Heaven seemed nearer. Death became a much thinner curtain. And the power of the resurrection was greater than ever before. Well, I’ve read about Susan’s story a number of times today already, and I look forward to reading this book. Thanks for sharing this with us at #RaRaLinkup! Renee, I remember a similar story from last summer – so great to see her dream come alive! 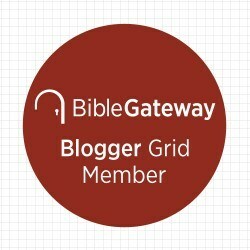 Thanks for sharing about Susan’s book! I heard from a friend just a moment ago about a little girl in the 6th grade who is burying her mom on Saturday. I would like to pass this book along to her.